One of the major causes of arc flash is a metallic object making contact phase-to-phase or phase-to-ground with energized conductors or circuit parts. That object could be a tool, a part of the equipment or dangling wires that are not secured properly. Another possible cause of arc flash due to an overvoltage condition is voltage transients (spikes) from inductive load switching or lightning strikes. The transient may last only microseconds, but it may also carry thousands of amps of energy. Other causes include things as simple as touching a test probe to the wrong surface, worn connections, gaps in the insulation, improperly installed parts, or dust and corrosion that cause resistance heating. 1. Get trained on safe work practices. Identify and avoid electrical hazards. Follow safe work practices such as, lockout/tagout procedures, maintaining hazard boundaries, and abiding by PPE requirements. Understanding how electrical equipment and power systems operate and the manufacturer’s requirements for their operation. Skills and techniques to test for the presence and absence of voltage. Until electrical circuits are tested and found absent of voltage, they must be considered energized. Inspect your test instruments and verify them with a known voltage source. When working in isolated environments, such as wind towers, verifying the absence of voltage can be difficult. 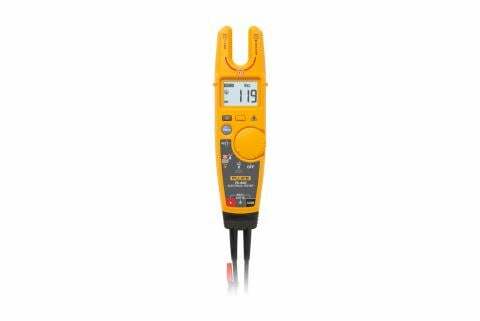 The Fluke Proving Meter, Figure 2 is an acceptable method to verify test instrument operation when other sources are not available. De-energize and lockout/tagout the equipment. Reverify the meter is functioning properly. Knowing the maintenance history of the equipment in your facility is one of the first steps to preventing an arc flash event. The key to identifying an abnormal reading is to gather baseline readings for especially important components and equipment. Critical components to inspect include electrical connections, insulation, and circuit breakers. Both ANSI/NETA “Maintenance Testing Specifications” and NFPA 70B, “Recommended Practice for Electrical Equipment Maintenance” recommend the use of a test and calibration decal system that alerts maintenance personnel to likely issues with installed equipment. Refer to these documents for further information. 4. Follow the hierarchy of risk control methods when “additional protective measures” are recommended by NFPA 70E. Do not immediately make the decision to wear PPE. The 2018 edition of NFPA 70E requires that when additional protective measures are required, that the hierarchy of risk control methods be implemented. This would include placing equipment in an electrically safe work condition (elimination) and so forth down the list. PPE is at the bottom of the list and is considered the least effective risk control method. Wearing the appropriate PPE in conjunction with the other safety measures in Article 130 is critical to minimizing injury in the event of an arc flash incident. In order for the PPE to perform effectively, its arc thermal performance value must meet—or exceed—the thermal energy transfer during the arc flash incident. See NFPA 70E Tables 130.7(C)(15)(a) and 130.7(C)(15)(c) to determine the right PPE clothing and accessories based on the predicted energy exposure when using the table method. Always abide by the limits in Table 130.7(C)(15)(a) and the minimum working distance. If the available fault current, minimum operating time of the OCPD are exceeded, or if the minimum working distance cannot be maintained, an incident energy analysis must be performed. Refer to Table 130.5(G) if arc flash warning labels are present on equipment. 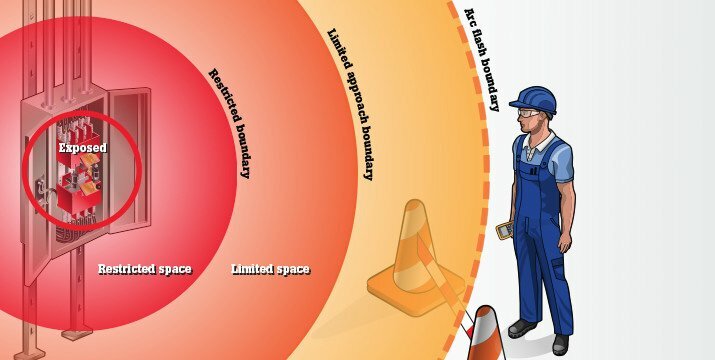 The greater the incident energy, the higher the personal protective equipment arc rating must be to withstand an arc-flash incident. Test instruments, test probes, flexible clamps, and other accessories must meet safety requirements established by such organizations as ANSI, the Canadian Standards Association (CSA), and the International Electrotechnical Commission (IEC). Make sure your meter and accessories have the appropriate CAT and voltage rating for the electrical environment in which you will use them. High visibility for thermal and visual inspections. Grounding to the metal enclosure to avoid the release of static electricity. 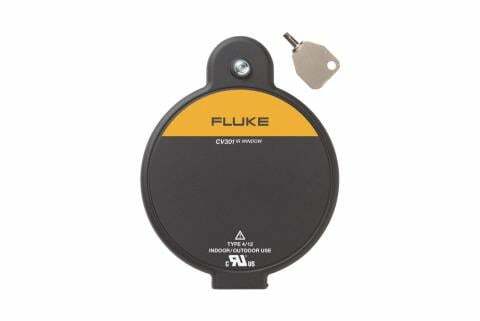 Easy to open covers that are easy to keep track of and reduce the technician’s time within the hazard area. Arc flash and arc blast are very real dangers in today’s industrial electrical environment. By following best practices, using the proper equipment and staying as far away from energized components as possible you can reduce your risk of those events.